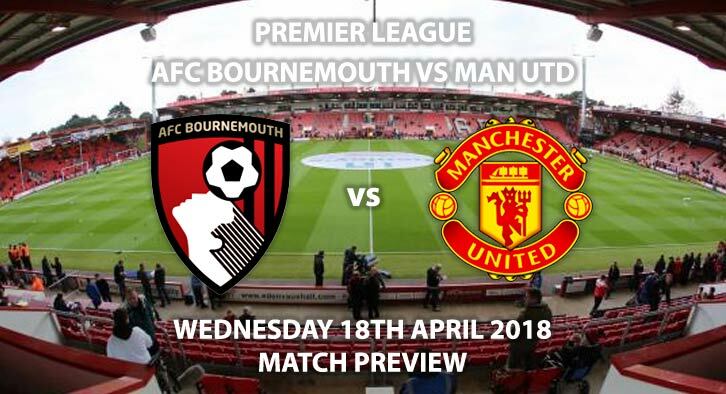 Bournemouth vs Manchester United: Manchester United will be looking to bounce back from Sunday’s shock defeat with a win against Bournemouth. After handing Manchester City the title on Sunday, Jose Mourinho’s team will be determined to secure second place. With a crucial FA Cup semi-final against Tottenham at the weekend, Mourinho could rotate his squad with three games in six days. United’s performance in the defeat to West Brom was lacklustre. The contrast in the display from last week at the Etihad was stark, with a number of a key player underperforming. Reports have suggested that Mourinho may even axe Alexis Sanchez and Paul Pogba from the starting side this weekend. Whilst both played poorly, United stand a much better chance of winning with the pair on the pitch, rather than off it. If they play in this game, then you fear that those reports could be on the money. Bournemouth lost 3-0 at Liverpool at the weekend. Eddie Howe’s side were second best as Mohamad Salah notched yet another goal for the Reds. The Cherries sit in 11th place, ten points clear of the relegation zone. With only four games to go, they have all but secured their status in the top flight for another season. They have, however, been on a poor run of late, winning just one of their last eight games. Bournemouth have made a habit of pulling off a big win per season at the Vitality Stadium. In the last few years Manchester United, Arsenal and Spurs have all fallen foul of that record. This is always a game that you would label as a ‘potential banana skin’. Graham Scott is the referee on Wednesday night. The Englishman has officiated 17 top-flight games this season, accumulating an average booking points total of 23.8, which is the joint second lowest in the league. Therefore, I’d avoid betting on booking points for this game. Knowing Mourinho, he will be desperate to win this game. After such an embarrassing defeat at the weekend, he will expect a reaction from his players. Consequently, I think they will win, although much may depend on what team he starts with. Bournemouth vs Manchester United will be televised live in the UK on BT Sport 1 with kick off at 19:45 GMT. Correct score, United to win 2-1 – 7/1. BTTS and over 2.5 goal – 11/10. Rashford to score and win – 2/1. Wilson and Lukaku to both score – 11/2. United to win by exactly one goal – 11/4. Odds and markets last updated on 18th April 2018 @19:15 GMT. Markets unlikely to be updated prior to kick off.